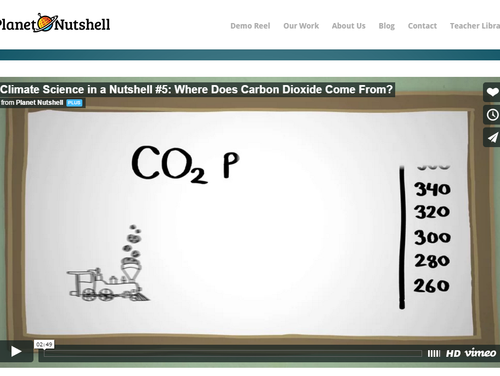 Climate Science in a Nutshell: Where Does Carbon Dioxide Come From? This short video discusses where carbon dioxide, the gas that is mainly responsible for warming up our planet and changing the climate, comes from. It discusses how the rise in atmospheric carbon dioxide comes directly from the burning of fossil fuels and indirectly from the human need for energy.